The first thing that will definitely catch your attention when you’ll look at the Nova 2i is the display, bezel-free display. The device features a 5.9-inch Full HD+ display having a 18:9 aspect ratio screen with a 2.5D curved glass. The screen to body ratio is around 83% which is roughly all display. The bezels according to the picture above is very very narrow on the side with a narrow non-screen space at the bottom & top. With a huge resolution of 2160 x 1080 pixels, the display is quite sharp and is comfortable to look at. When you increase the brightness, it tends to be very bright in low lighting places but thanks to the eye comfort mode, it is possible to change the color temperature. This feature was introduced first in Huawei’s Honor 8 Pro and follows the same suit. The eye comfort mode enables to adjust the blue light tint of the display whenever the device is on full brightness. Sharpness is right on point, contrast is impressive as well and the colors in the display are accurate producing good black n white levels with no fading. When I put the display in auto it manages to adjust the brightness according to the lighting conditions and found it to be quite accurate. We all know the longer and brighter the display, the more chances of the battery draining out. The Nova 2i has an option to even lower the resolution thus increasing your battery life. Well not that much but by at least an hour. 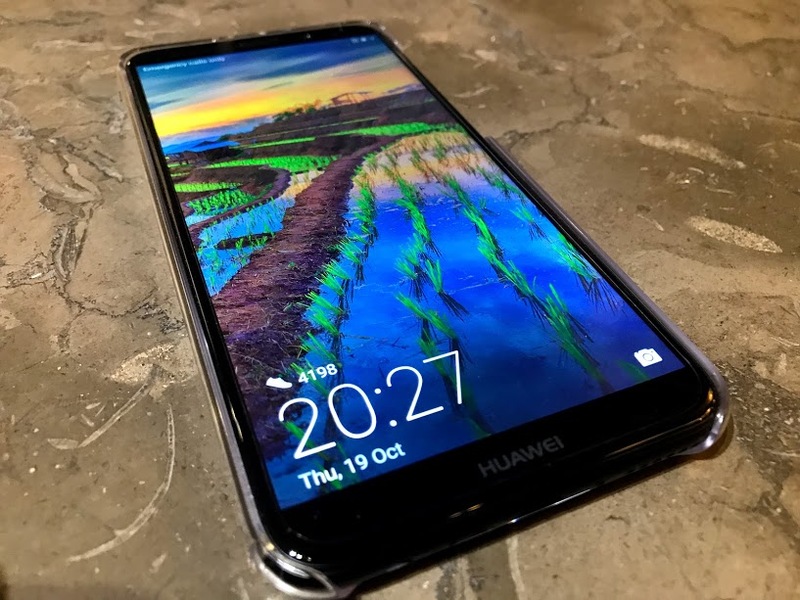 Despite the large display screen of the Huawei Nova 2i, the usability of the device isn’t much of a problem. The display can either be a centre-fit view or a screen fit view and of course, the full screen view is the plus point. A 5.9 inch screen isn’t easy to hold unless you have fat hands like mine but surprisingly Nova 2i’s UI caters to the people who have tiny hands. However, not all apps are optimized for the 18:9 aspect ratio. Even not many videos in Youtube are in 18:9 aspect ratio as most of them are 16:9 so I had to find two black borders at the side while watching a random video.. I’ll be showing an in-depth overview of this in the review. Stay tuned with Techetron as I am doing many parts on this device and a full review coming soon!